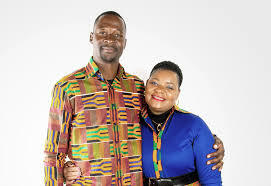 United Family International Church (UFIC) leader Emmanuel Makandiwa and his wife Ruth have denied allegations of making false prophecies. In their court papers filed yesterday, the Makandiwas challenged Blessing and Upenyu Mashangwa’s claims that they ripped them off of a staggering $6,5 million. .
“The defendants (Makandiwas and UFIC) plead generally that this action is an unmitigated and vexatious and contempt of this court and its processes whose sole purpose is grandstanding to harass, vex and injure the defendants in their reputation and good standing,” the Makandiwas said. “The defendants plead that there is no factual or legal basis that has pleaded or can be pleaded by the plaintiffs upon which this court can pronounce that the first and second defendants are not prophets of God,” the court heard. The UFIC church leaders, who are represented by Lewis Uriri, denied claims by the couple that they had made a prophecy claiming there was going to be a miraculous debt cancellation, which induced them to ignore a $500 000 debt which they had with a local financial institution, leading to them losing their property. “The defendants deny that they made the alleged representation to the plaintiffs in the manner alleged or at all. The defendants specifically deny using the words ‘anyone with a bank debt or loan would (have the same) cancelled as it was the season of miraculous cancellation of debts’. “It is denied that the plaintiffs lost ‘their property’. The property was at all material times owned and registered company called Carmeco Investments (Private) Limited…The property remains owned by, and registered to Carmeco. In 2012, the plaintiffs were the directors of Carmeco and presumably the beneficial owners of the property. The present directors and/or beneficial owners of Carmeco…are one Walter Magaya and one Tendai Magaya,” the Makandiwas said. They further denied the Mashangwas ever making a direct contribution to them and fraudulently inducing them to part with their money. “The defendants made free will offerings in accordance with their own respective personal and individual faith and conviction. “Such giving was to the work of the church... It is denied that such free will offerings amounted to direct contributions to the defendants,” the Makandiwas said, adding that they do not know about the $1 100 000 contribution allegedly made by the plaintiffs. The current papers were filed after High Court judge David Mangota dismissed the Makandiwas’ exception application, saying the Mashangwas’ claim against the UFIC leaders were grounded in alleged fraudulent activities and not in contract. “The plaintiffs’ (Mashangwa and his wife) case in regard to the four claims is watertight,” Mangota said. “There is nothing which is vague and/or embarrassing in each of those claims. Their cause of action for each is clear, cogent and to the point. “The claims fall neatly into the delict (wrongful act) of fraud. They are neither frivolous nor vexatious.